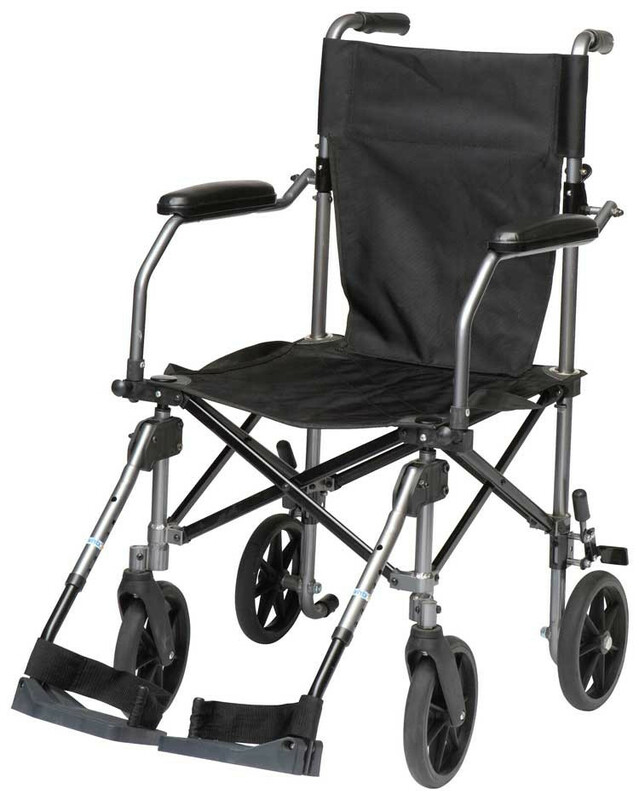 Transport wheelchairs are ideal for quick shuttling of patients and are typically used in hospitals, clinics, and in various caregiver environments. 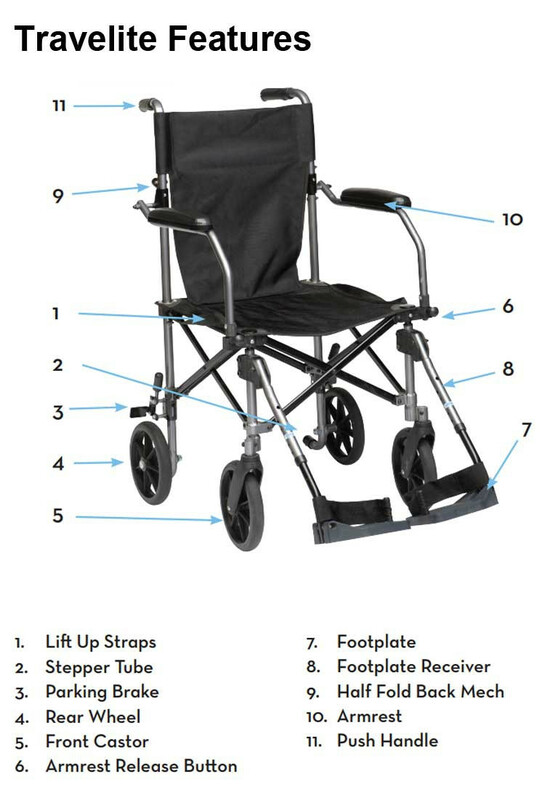 The Travelite Transport Chair, by Drive Medical, are uniquely made for those who need wheeled transport for individual and general clinical use. 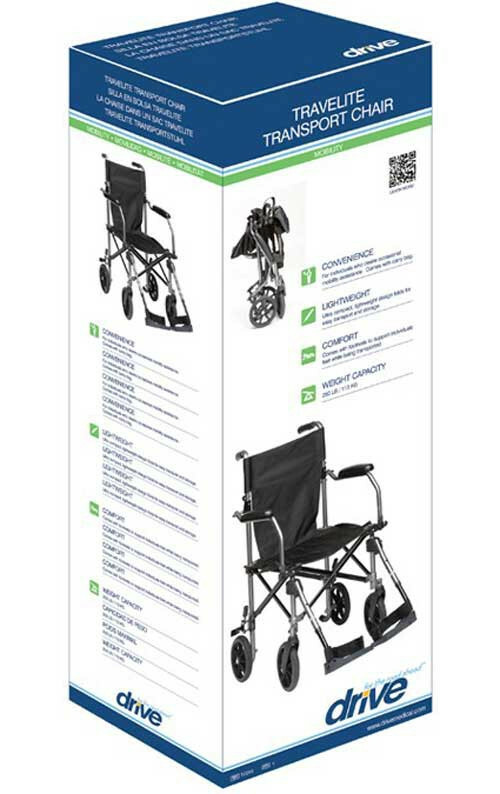 This is a versatile model that will prove useful for those who are busy and need mobility assistance. 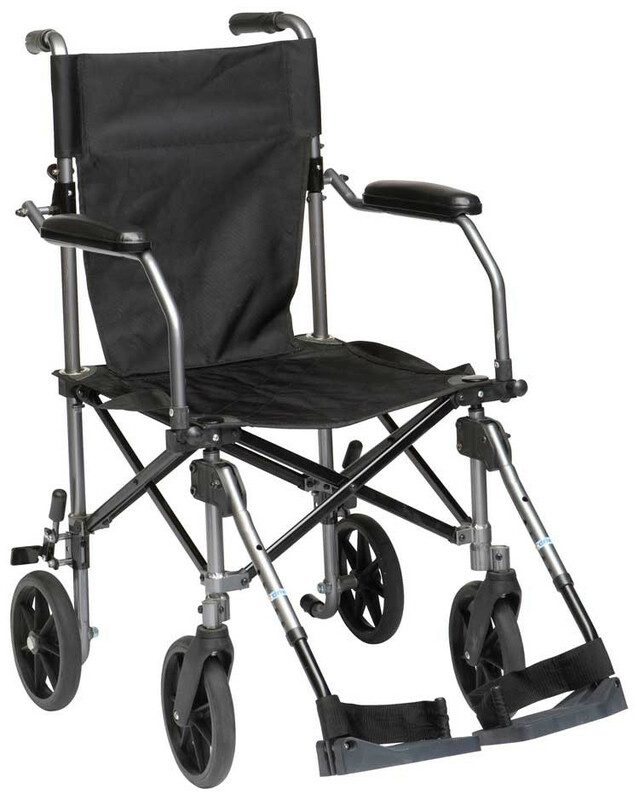 One of the prime conveniences is the way this transport chair can be folded and stored. This feature makes it especially nice for traveling and hauling from one place to another -- great for having wheeled transport when getting from one airport gate to another. 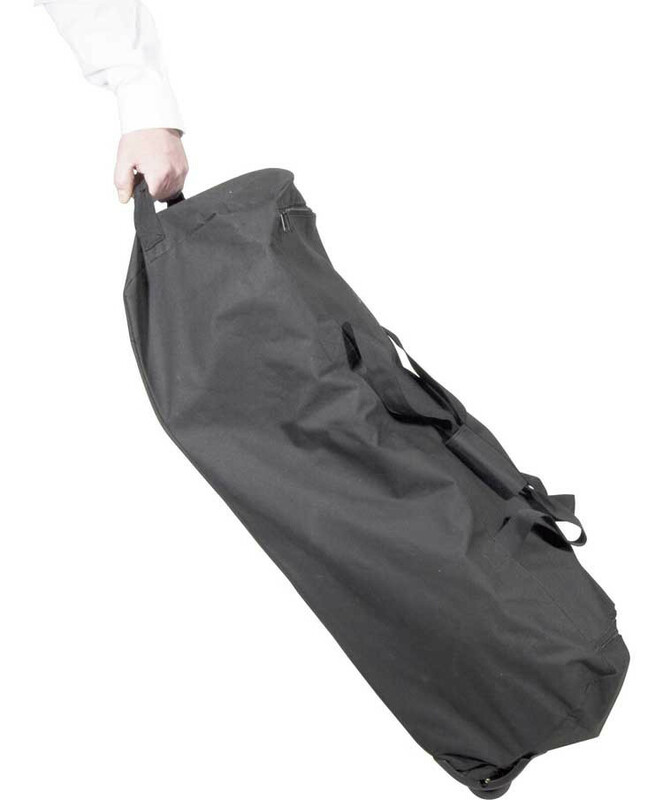 The frame is of lightweight aluminum and, when folded completely, fits neatly in the included transport bag. 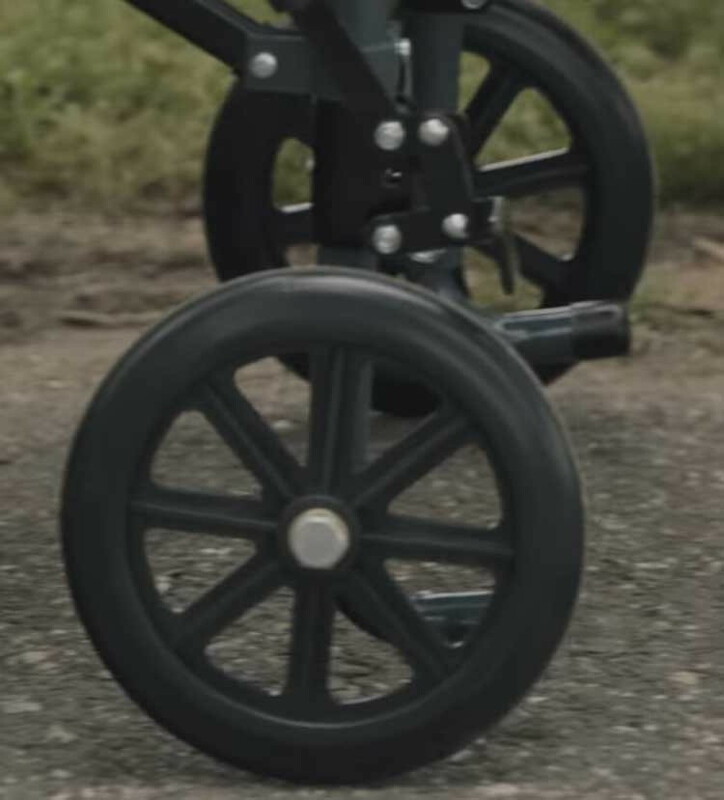 It comes with four 8 inch wheels -- the two in front will swivel. 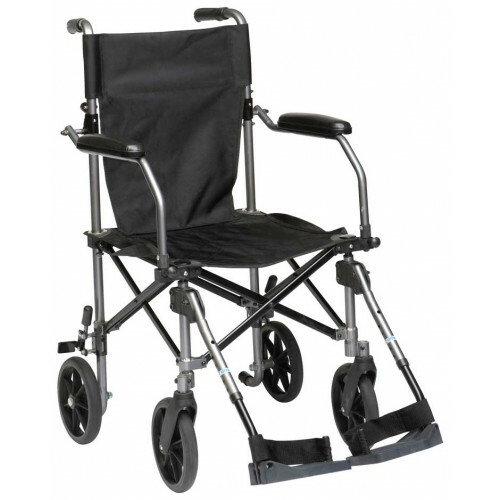 This Drive Medical Transport Chair" is ideal for both indoor and outdoor given the clearance the 8 inch tires provide. 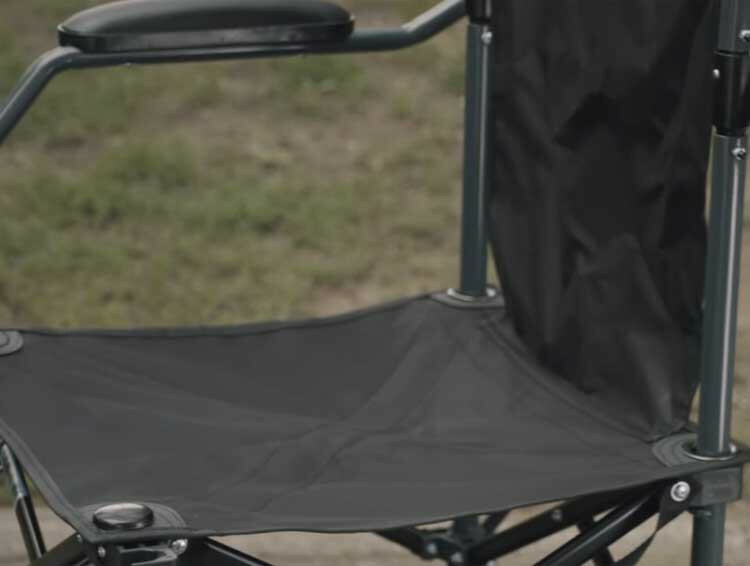 It has a 18 inch nylon seat with lift-up straps. 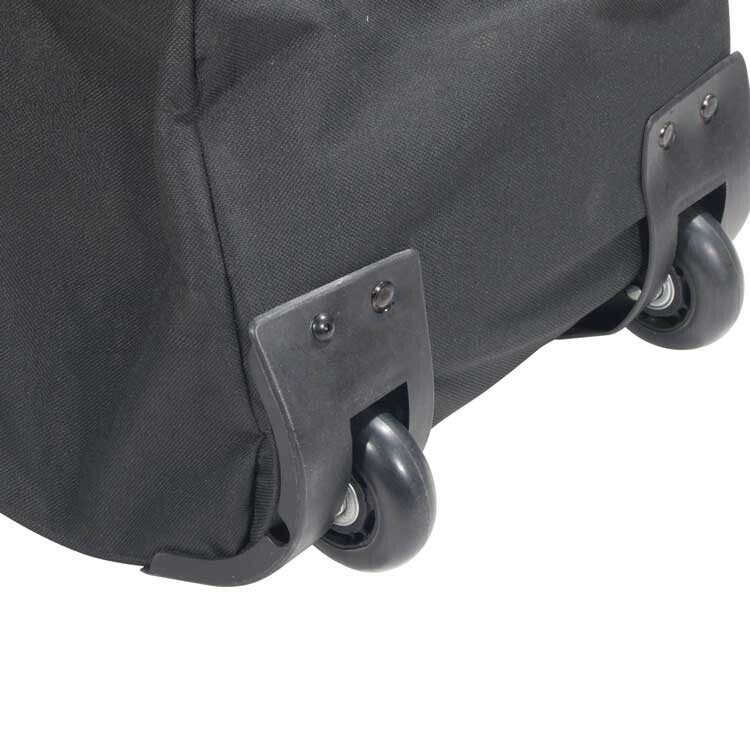 The wheels come with locks that clamp down on the rubberized tread for safety stopping on areas with slight grade. 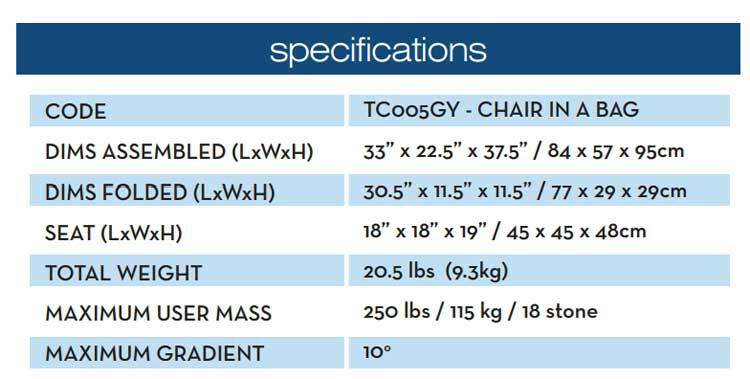 The Travelite also comes equipped with padded, flip-up desk arms and height adjustable footrests. 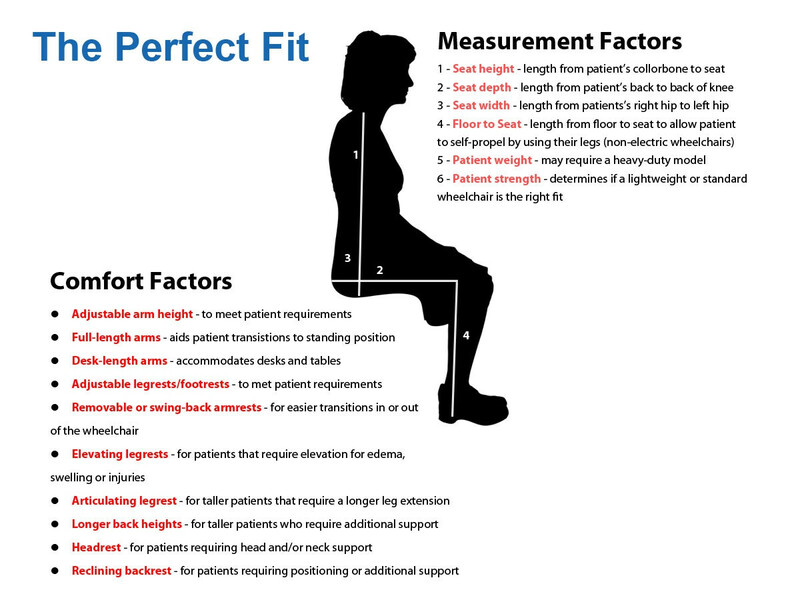 The chair is 22.5 inches wide when open. It is slightly under 38 inches high -- with the seat-to-floor height at 19 inches. 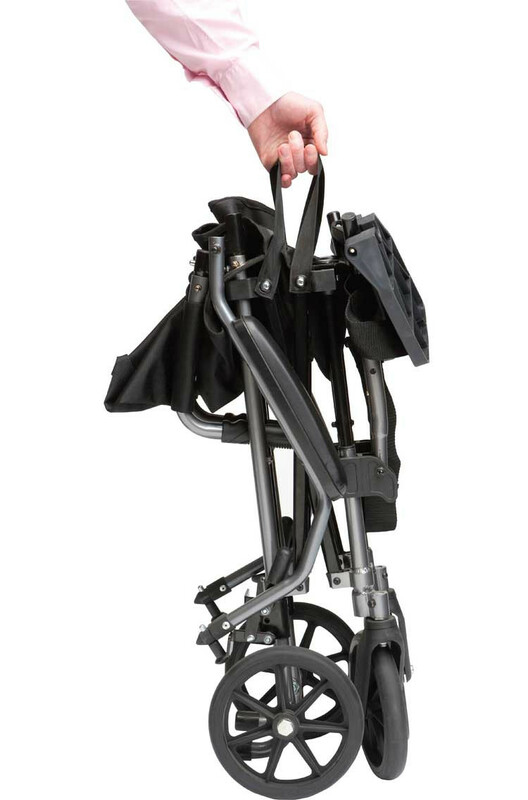 It weighs 21 pounds and can hold weight up to 250 pounds. It comes in one color: gunmetal gray. 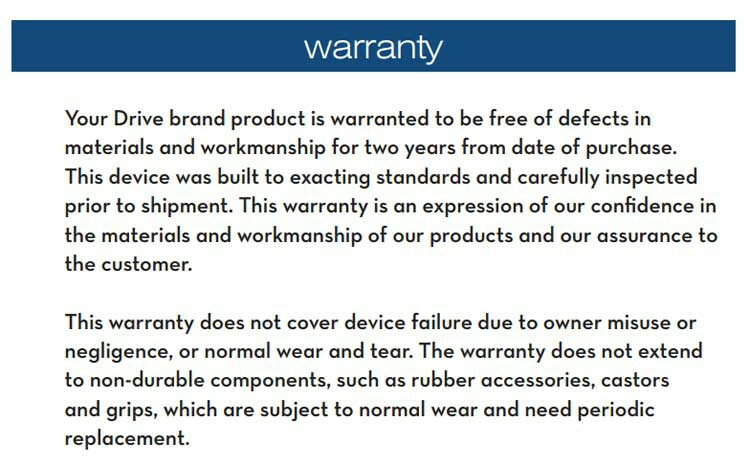 It has a limited lifetime warranty through Drive Medical. 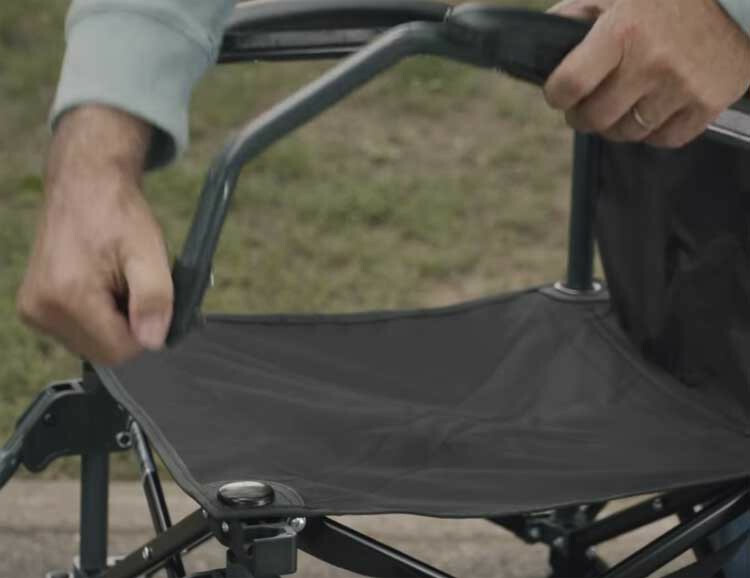 The transport chair folds and stores so it travels and stores easily. 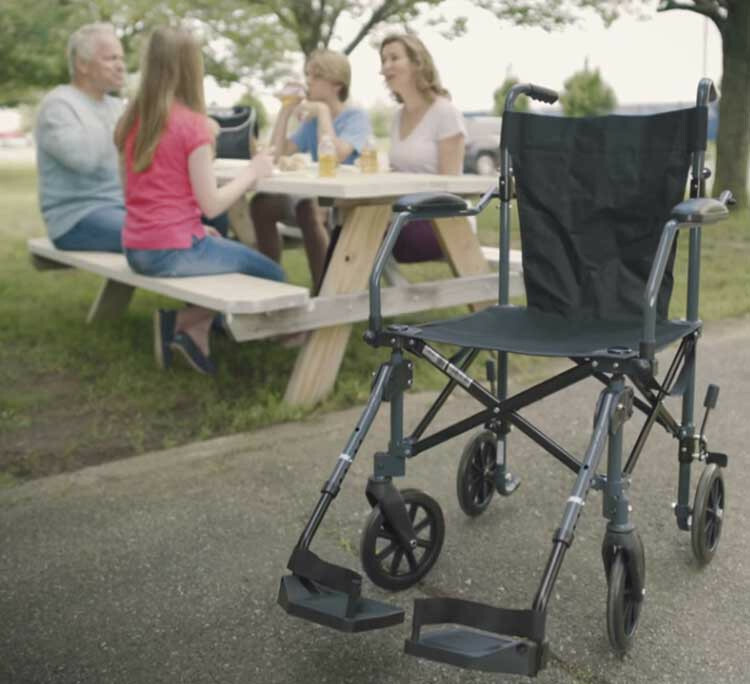 it comes with padded, flip-up desk arms and height adjustable footrests. The chair comes with parking wheel locks. 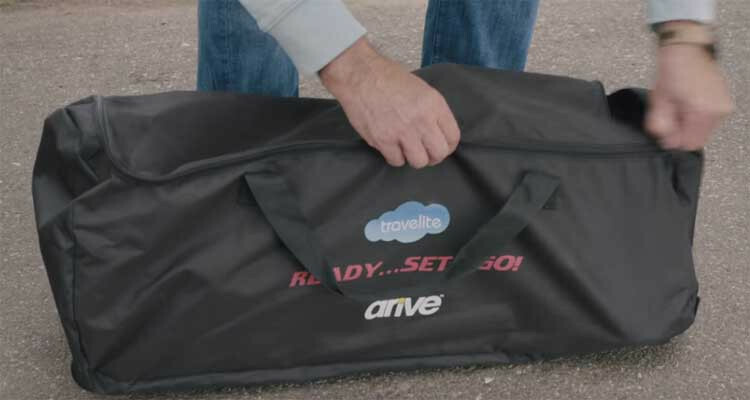 It comes with a compact carry bag for convenience while traveling or running errands.